This document hopes to clarify the way we talk about the things we do. 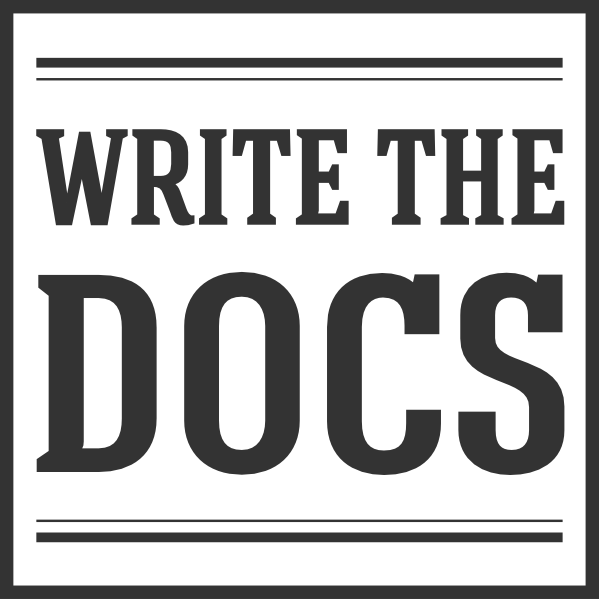 We are called Write the Docs. The the is not capitalized. We do however use the acronym WTD. I'm going to Write the Docs. What happened at WTD last year? At the beginning, there was but one Write the Docs. After that, we branched out to a North American and European set of conferences. Now, we see that there may one day be more than one conference per continent, so we started naming the events after the city. Are you going to Write the Docs North America? We use one word to refer to our meetups, and it isn’t capitalized unless used in a title. For page titles, or Heading1 as they are sometimes called, we use title-case. If the page includes multiple sub-headings (H2, H3), we usually use sentence-case unless the titles include terminology that is supposed to be capitalized, such as “Writing Day”. Our website uses mostly reStructured Text (RST) markup format. We still have some legacy content in Markdown but we try to retire it whenever we encounter it. Use one-sentence-per-line and do not break sentences across multiple lines. If you are cross-referencing to a different page within our website, use the doc directive and not a hyperlink. If you are in doubt about how to tag titles, lists, or anything else, the About the Write the Docs organization is a good example for how we tag our content files.